Big news for Skype and Nokia … and in turn mobile phone operators. It’s just announced that Skype will be integrated into Nokia handsets, starting in the 3rd quarter of 2009 with the N97. As well as allowing Skype calls via 3G and WiFi, Skype to Skype calls will be free (excluding any data charges), we’re also told that “low-cost Skype calls to landlines and mobile devices” will be allowed. The surprise is that Skype contact details will be integrated into the handsets address book, showing the presence of the Skype user and enabling instant messaging. Skype has previously had some success getting on to mobile phones, the most significant of which was the deal with 3, but this deal with Nokia is far more significant. Good for mobile service providers? 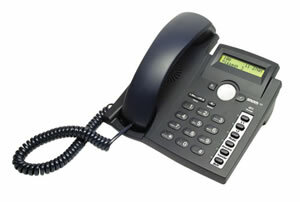 As to how the mobile service providers will react to it is quite another matter. If their subscribers are using data bundles, the operators aren’t going to make any money from calls that are made over their networks, reducing them to providing the plumbing to enable it. 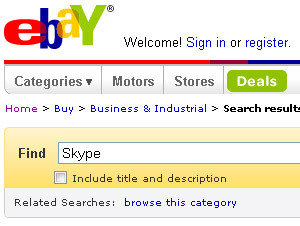 Speculation continues to grow that the Internet auction website eBay is preparing to flog off its VoIP telephony service, Skype. The story sprang up after eBay head honcho John Donahue recently described Skype as a ‘great stand-alone business,’ sparking off a flurry of rumours about a possible sell off. What do you do if you’ve sold your business for X billion dollars? Well if you’re Niklas Zennstrom of Skype and Kazza fame, you share a passion with other Tech billionaires, like Oracle’s Larry Ellison – Sailing. If you’ve got large bundles of cash in your pockets, you don’t just get any old boat and hope that you might do quite well, you invest a ton of wonger and gather yourself a world-class crew. 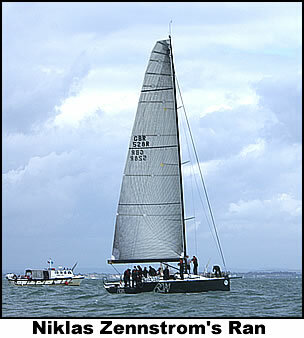 The boat, a Transpac 52, was commissioned in 2006, designed by Reichel/Pugh, famed Yacht designers and runs under GBR 528R. 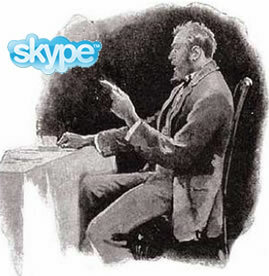 Of equal value, if not greater, to Skype’s voice calling is the IM (Instant Messengering). 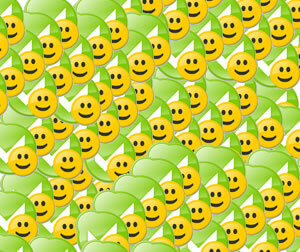 Given the IM usefulness, we thought we’d pass on to you on a tip that we found out a little while ago. Skype has passed a pretty significant milestone, serving over 100 billion (US billion) minutes of Skype-to-Skype calls, be that voice and video calls. Yes, that’s 100,000,000,000 free discussion minutes since Skype’s launch in 2003. Quick follow up on the SkypeIn mis-routing story that we broke a couple of days a go. Skype have now issued us a statement (don’t rush yourselves will you). You’ll remember the outcry when Skype forced many of their 0207 SkypeIn subscribers to change their phone numbers late last year, due to Skype changing their suppliers, following an increase in costs. Many didn’t take up Skype’s offer to use new SkypeIn numbers, opting instead to transfer their SkypeIn number to another VoIP provider (we changed ours to VoIPFone). We’re getting reports of problems – and have experienced problems ourselves – of calls being incorrectly routed to Skype accounts when these number are called within Skype. Skype _will_ be coming to Sony’s PSP. Following on from all of the faux-shyness of Skype and Sony refusing to officially confirm that Skype was going to be seen on the Sony PSP at CES, they’ve just released the news that … tad daaaa … it is. So no shock there and both Sony and Skype end up with some pre-CES buzz and everyone in the PR departments are happy. It looks like Sony will unveil Skype running on their PSP at CES, which starts in a few days. Skype seriously annoyed a lot of people when they gave less than a month to have their London SkypeIn phone numbers – many their main business number – changed by 20 December. We were one of those unfortunates too, so were forced to take action.